Landlords in the UK appear to be confident of coping with increased outgoings if mortgage interest rates rise this year, new research suggests. Some 51% of experienced landlords are saying that any decision to sell properties is not dependent on mortgage interest rate, according to the latest private rented sector trend report from Paragon. Of the remaining 49%, the average mortgage interest rate at which landlords said they would consider selling properties is 5%. Some 43% said that any decision to increase rent was not dependent on mortgage interest rates and 51% said that any decision to refinance properties was not dependent on mortgage interest rates. The trend report points to continued stability in the buy to let sector, with the average number of properties owned by landlords still 13 for the third successive quarter and in line with the long term average of 13 properties since the end of 2007. The average market value on property portfolios in the last quarter of 2017 was £1.65 million, nearing record levels and continuing the long term upward trend tracked from £1.3 million in 2004. The average gross rental rate of return for all landlords was 6.3%, in line with the long term average tracked for over 10 years. Some 30% of landlords believe demand is either growing or booming for the third successive quarter, as demand remains substantially lower than the peak of 50% in 2011 but remains on a modest long term upward trend from 20% in 2009. The average void period remained stable again at 2.7 weeks. This has now held level for over a year, and is consistent with the long term average over the past six years, adding further evidence that the balance between the supply of property to the PRS and tenant demand is finely balanced. For the first time in over a year, the number of landlords expecting to purchase buy to let property in the next quarter increased, from 7% in the third quarter of 2017 to 9% in the fourth quarter. This is, however, an increase from record lows and remains some way off the peak of 20%. Whilst the disparity between landlords expecting to buy and sell didn’t increase further in the fourth quarter, more landlords also say they expect to sell some or all of their buy to let property in the first quarter of 2018, up 4% to 23%, and the second highest percentage ever recorded. Amongst landlords expecting to purchase buy to let property in the first three months of 2018 the most common type of property is semi-detached, with 35% indicating this as most likely. There is a notable decrease in the proportion of landlords expecting to purchase a flat or maisonette, down to 30% from 55% in the third quarter of 2017. The research also shows that gearing reached an all-time low in the final quarter of 2017, the joint lowest level in over 15 years, as landlords continue to reduce borrowing. Average LTV of investment property portfolios was 35% as recent fiscal and regulatory changes targeting landlords dampened the motivation to take higher LTV buy to let mortgages. ‘Contrary to the view held by some, there is strong evidence that gearing levels across portfolios are very low in the buy to let sector, with a peak of 43% LTV across all types of landlords in the last 15 years,’ said John Heron, managing director for mortgages at Paragon. ‘In response to fiscal changes over the last two years, landlords are clearly less willing to take higher loan to value mortgages and borrow more, whilst regulatory changes, though welcomed by lenders, have constrained the market in its ability to offer higher LTV mortgages,’ he explained. ‘Despite much noise to the contrary, and whilst some landlords have responded to a turbulent market by selling property, we’ve seen no material evidence of a mass sell-off by landlords. What we continue to see is strong performance of property portfolios, with a long term upward trend in values and a stable outlook in portfolio size and returns,’ he pointed out. ‘There is no evidence to suggest lending to landlords has been anything other than sustainable. 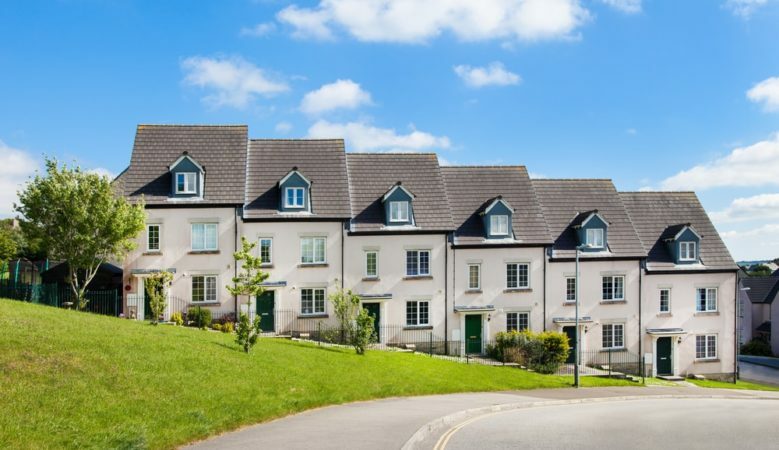 With low levels of gearing landlords appear well positioned to withstand the higher interest rates that the markets are anticipating, which is good news for buy to let and the wider private rented sector,’ he added.